 GNI is pleased to welcome Internet Sans Frontières (Internet Without Borders, or ISF) as the newest member of the civil society constituency. Based in Paris, ISF coordinates with independent local branches, freelance reporters, and partnering organizations around the world, including a recently-created Central Africa Division. Motivated by the belief that “freedom of expression and privacy are at the core of the cyber development in the Global South,” ISF Executive Director Julie Owono hopes that GNI membership will help ISF raise awareness on the “significant implications of a free and open Internet in sub-Saharan Africa.” ISF joins a growing GNI presence in the region. In recent months, ISF has pushed back against network disruptions in Cameroon and the Democratic Republic of the Congo. Leading the #BringbackourInternet campaign in Cameroon, ISF held a Facebook live conference watched by nearly 4,000 participants and featuring speakers from academia, civil society, and international financial institutions. Collaboration with GNI’s diverse membership is an opportunity for ISF to expand and amplify similar multistakeholder efforts.